Slowly but surely, the pumpkin products are starting to arrive at Trader Joe's. Oh Happy Days! 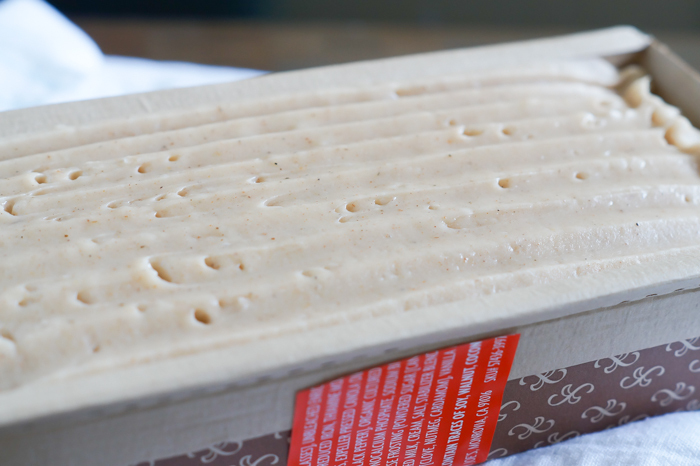 You'll find this Pumpkin Chai Spice Loaf in the baked good section of the store. A 1-pound loaf costs $4.99. A mom's (my) take: The flavors here are SPOT ON. Spicy, warm, comforting...all of the flavors of fall in one bite. Unfortunately, I found the cake to be quite dry. Maybe it was just the particular one we brought home. A teenager's (Jack's) take: Even though it's not fall yet, I absolutely love this. The sweet spiciness is very strong, but balanced well by the rich cream cheese frosting. 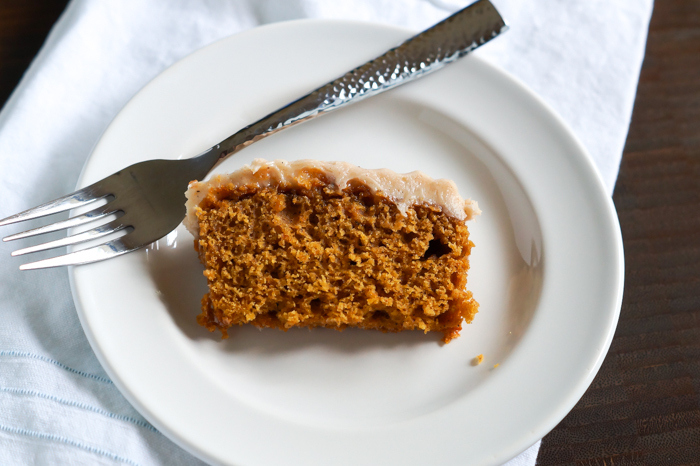 And who could forget the pumpkin cake base? Definitely not me. It's quite filling, but is a smorgasbord of tastes that I don't think you'd want to miss. 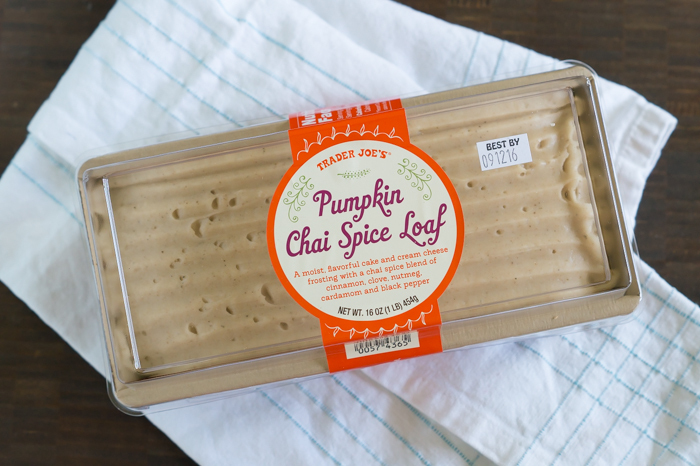 Trader Joe's Pumpkin Chai Spice Loaf: Fall flavors in full force!